I have been doing a lot of thinking this week about teaching practices and how we often underestimate the abilities of our students when we do not allow them to have a strong voice and a lot of choices when it comes to their learning. 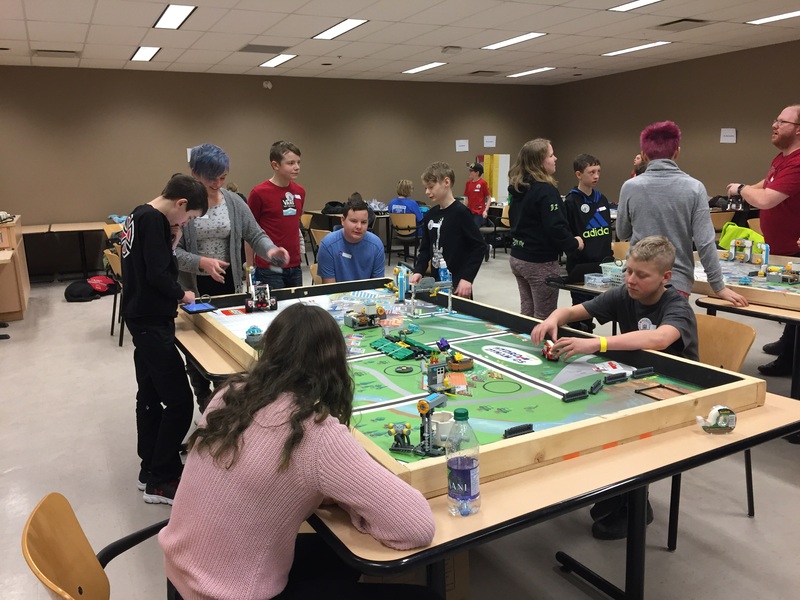 I spent my Saturday yesterday with a group of students at a Lego League tournament. It was such a rewarding experience that only illustrated what students can do when you let them. 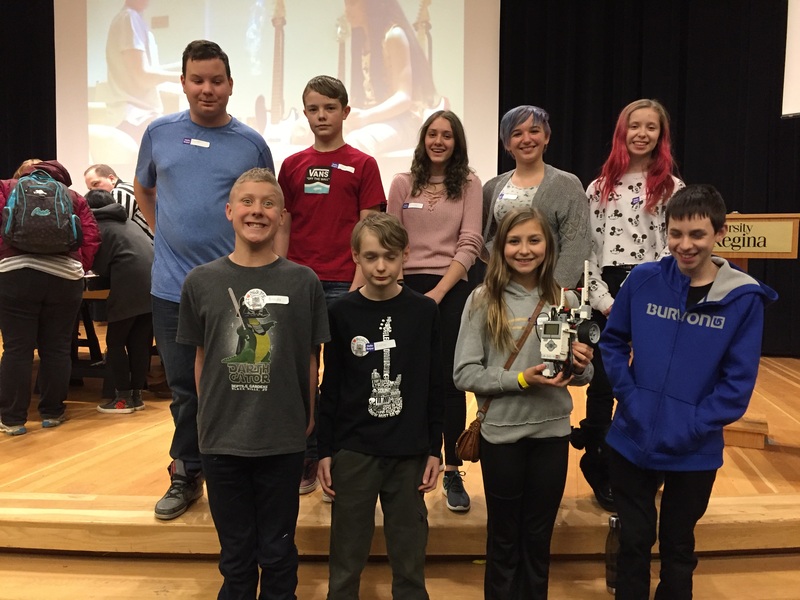 For those of you who do not know anything about Lego League, the students are judged on 4 different things: robot design, team core values, project and performance scores during the robot wars. Last year we attended the tournament just to see how it worked, but this year we were there to compete. When the students are taken by the judges to explain their core values the coaches are not allowed to be with the team. I was surprised to see the judges comments on our feedback sheet. “Wish the coach was a little less involved.” The reason I was surprised was that I think our students might do better if they actually had a coach that knew anything about robot design or coding. I really know very little about either one, but rather look at it a fantastic opportunity for our students and don’t want them to miss out. One of the very best things about all the time I dedicate to Lego League is that I truly did not even have any input into the design of our robot. The students worked together and showed me what they had come up with. When we started working on the challenges and coding the robot, I was in the room and was able to answer questions about what they would be judged on and what sorts of things might get them penalties, but I never once had input into the coding. I am very proud to say it was totally them! Another part I should add would be at the coaches meeting yesterday morning we realized the robot had to return to the base without help. We thought the whole time the robot could be picked up and returned to the base. The student took the news with a look of determination and just got back to work. Again we did not have input and actually walked away from most of it while they figured it out. This whole experience was so motivating for me and just illustrated, once again what our students are capable of if we let them. Sometimes we feel that we need to protect them and closely guide them to success. We do not want them to be discouraged or suffer disappointment. Sometimes we feel like it is our job to spoon feed them information and not wait for them to struggle to find answers. This thinking does not help our students and we are standing in the way of what they can truly accomplish. Even our youngest students are capable of accomplishing great things with opportunity. When I reflect on my own teaching practices in the classroom and how much they have changed. Despite class size growing and the never-ending list of expectations, I feel my students are now doing more work in the classroom than I am. I gave up dragging those huge bags of marking home every weekend years ago because I was inspired by Sandra Herbst and her work with assessment practices. Of course, I still assess! Of course, I still spend time “marking!” but I do not take the whole responsibility of learning on to myself. I feel like I know my students better. I can learn more from conferencing with them on a regular basis and setting goals for their reading and writing than I ever could from looking at a product on the weekend. I now spend more time on formative assessment and using observations and conversations to guide direction. I feel like student engagement is higher now that we are tacking learning goals together and my students have options and choices. Differentiating for students is a breeze and happens naturally within classroom organization. When I watched our students perform yesterday, despite my guidance and not solely because of my guidance it was very rewarding and telling indeed!